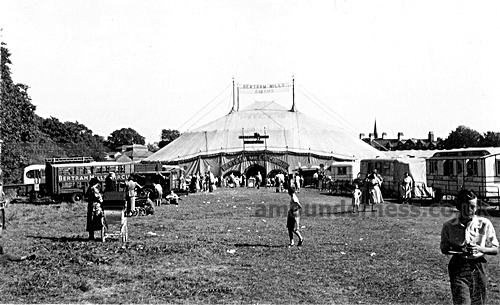 With a circus established at Blackpool Tower since the 1890s it was rare for a travelling circus to visit to the Fylde Coast, however, in 1955 Bertram Mills Circus visited Preston, Lytham and Fleetwood. 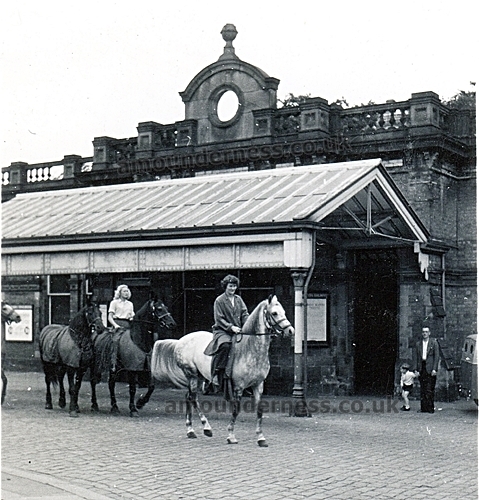 After a week at Preston the circus decamped to Lytham, arriving at the railway station. 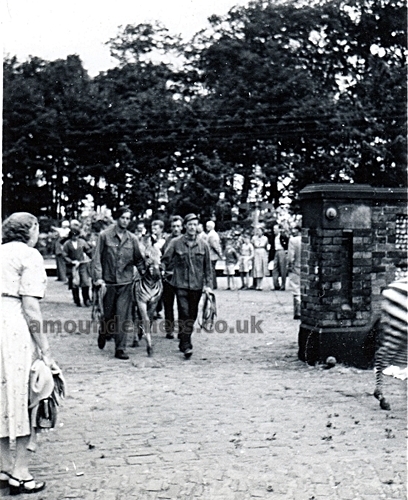 Zebras arriving at Lytham Railway Station, 1955. 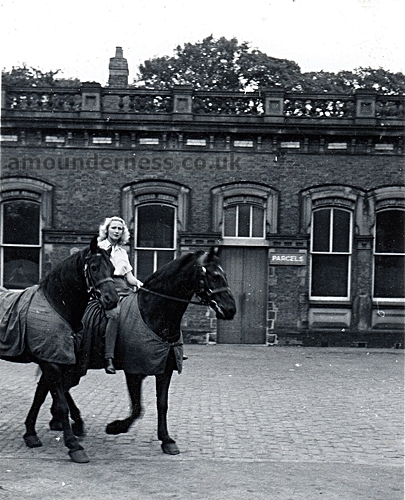 The horse rider, Joan Fowler, arriving at Lytham Railway Station, 1955. 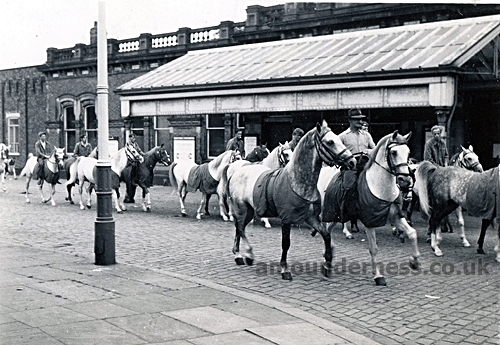 The circus horses arriving at Lytham Railway Station, 1955. 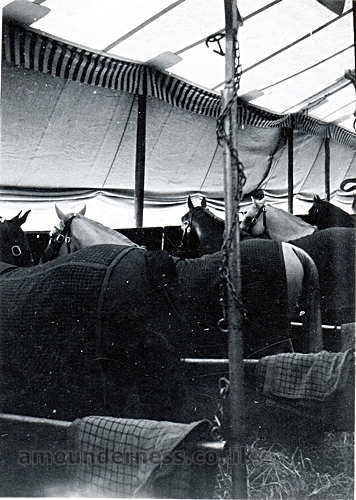 The circus horses in the 'stables' Lytham, 1955. 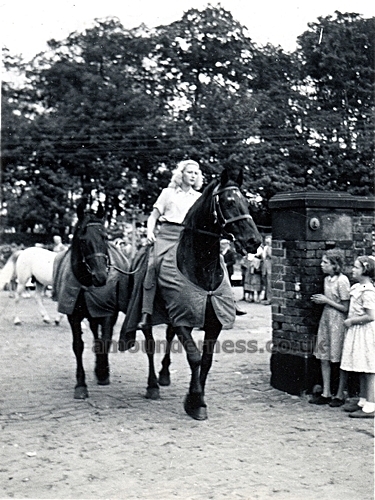 Phyllis Allen & one of Bertram Mills' Shetland Ponies. Rudy Horn (1933-2018), juggler & equilibrist, Bertram Mills, Lytham, 1 August 1955. 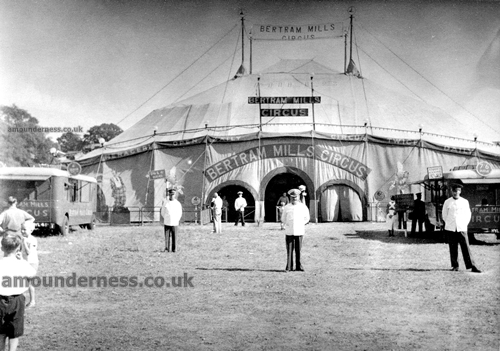 Three thousand people at Bertram Mills Circus at Lytham last night gasped when four members the Seven Eagles, a German team of high wire balancers, lost their balance 45 feet up. A guide rope leading to the side of the ring snapped. 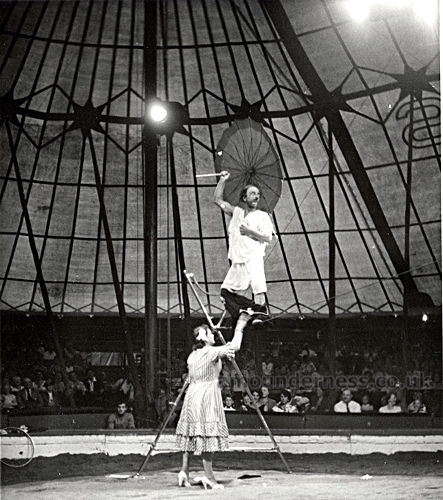 The movement of the tight ropes caused the four artists to lose their balance. 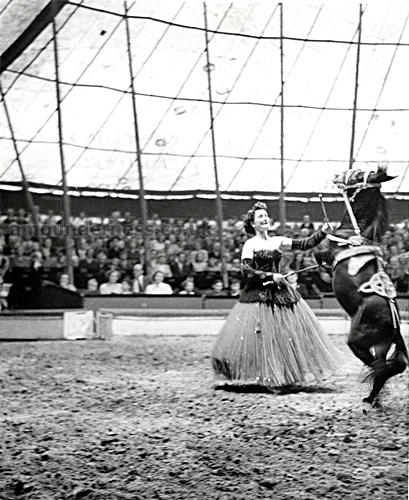 Reco the Clown and May, his partner, Lytham 1955. Video of Reco & May (British Pathe website) Reco & May, 1951. Costa Kruse & Elephants, Lytham, 1955. 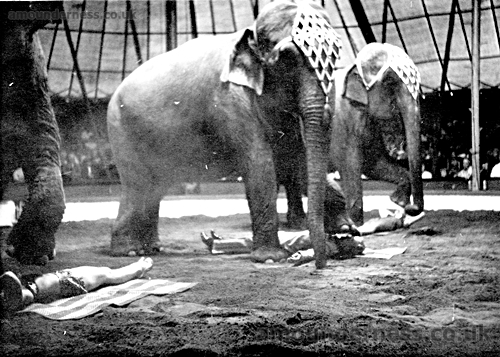 Video of the elephants (British Pathe on Youtube) The Circus Is Coming To Town 1946. 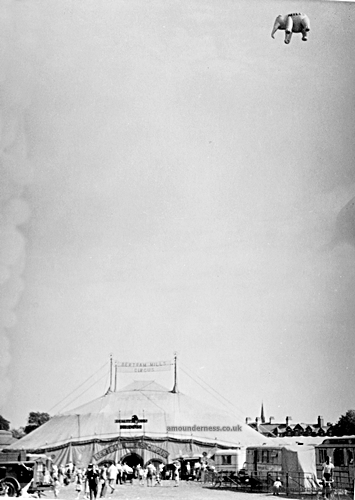 The Circus and flying elephant, Lytham, 1955. 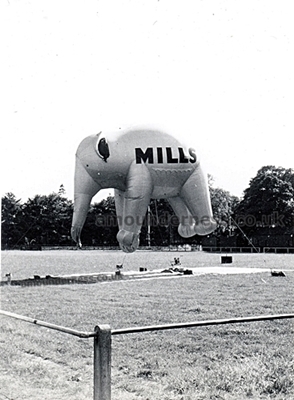 A "Flying Elephant" named "Effie" was used to publicise the touring circus from July 1955. 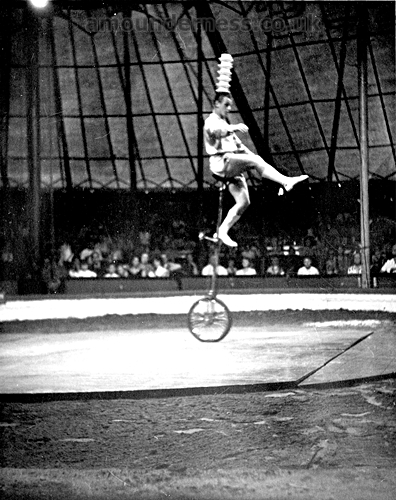 "Effie" the flying elephant, Bertram Mills Circus, tethered at Lytham Football Club, 1955. Described in contemporary press reports as "experimental", this elephant perhaps influenced Boeing's development of the Jumbo jet in the late 1960s. 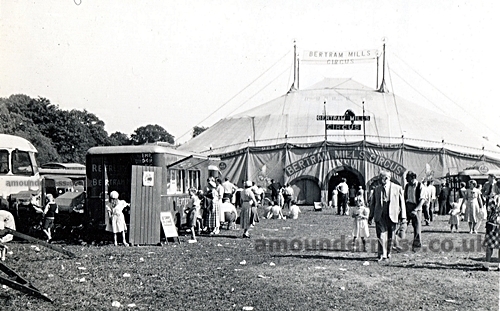 Bertram Mills Circus had also visited Lytham in 1952. 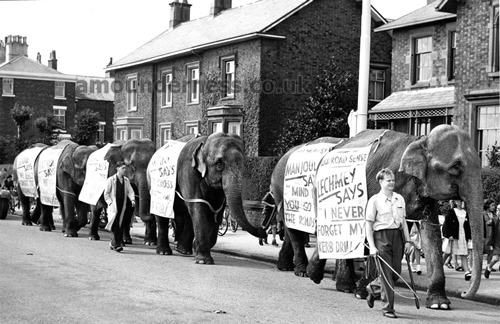 Bertram Mills Circus elephants parading along West Beach, Lytham, August 1952.